I need a new truck to pull my 2000 AVS Scarab as my old truck has over 212K on it. 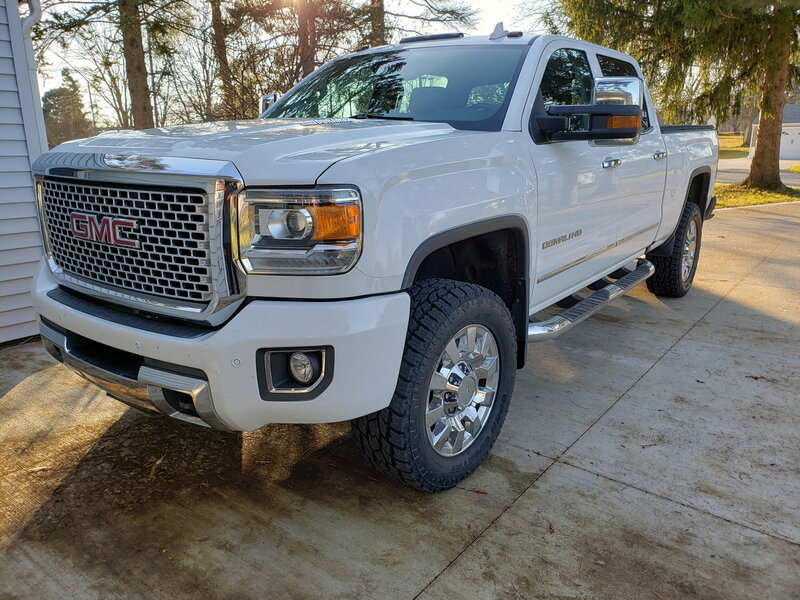 Needs to be crew, 4x4, short bed. Heres the kicker. I want to daily drive this so I dont have to maintain/buy another vehicle. I weighed the boat and tailer at 10800 with low on gas. I figure 800 lbs for gas, 600 lbs for me and family. 100lbs of water, 100 lbs of junk so ~12400 lbs. I may plan to cut a little weight out of the boat too, Aluminum head, revised hatch etc but that is for later. I see Eco boost ford F150 with 3.5Liter will tow 12700 if configured right. The 1500 Chevy my do it too. Obviously a HD truck will tow better but use more gas and are awful to daily drive in the city (Bay area). I would not buy anything less than a 3/4 ton diesel. I have an F150 with the 6.2L Raptor powertrain (in a hard to find Platinum edition) and it was taxed towing a 25' Baja Outlaw. ezstriper, DBleil89 and Nothing personel 353 like this. How far and how often are you towing? Daily driving a diesel around the city isn't a wise decision IMO. A 6.2 F250, 6.4 RAM or new 6.6 gas GM will be sufficient although I'm always leery of new models(first year for the 6.6). I also drive the SF Bay Area roads on a daily basis with a Z71 and think a 2500hd with a 6.2 would be ideal for the scarab. My Z71 is marginal for my 272 Islander, which is only a single engine 25’ boat. I have a F250 with 6.2L and 4.30 rear gears. It's rated to tow 15k and has no issues pulling my 292 fastech around when fully fueled. 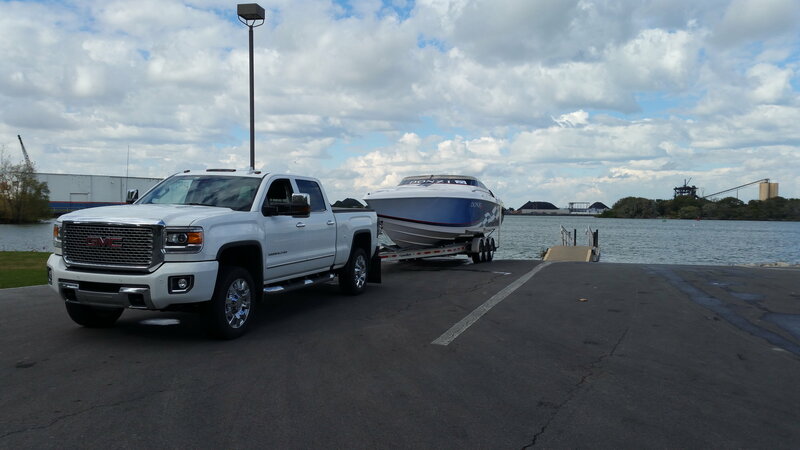 Great truck and boat combination and I use the truck as a daily driver as well. Last edited by Shelby 800; 04-18-2019 at 08:12 AM. Any 1/2 ton will tow Great---- right up until you have to make an emergency maneuver or brake. O wait now your Not towing AND you Might not be stopping. my brothers also has a 33zx and pulls it with a 150 EcoBoost for now. Any thing more then a 1/2 tank in the boat and its not happy. Lets just say hes now in the market for a 250. I think all the manufactures are in a towing weight war, big losers are us..just because they say it will pull xxxxxlbs means only it may pull it. Like other said I would not even consider anything less than a 3/4 ton.